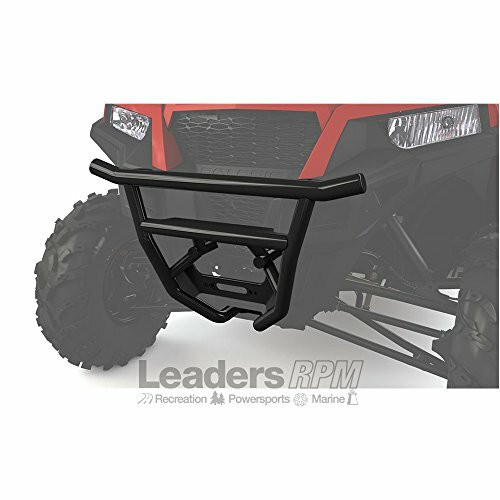 The off-road world can be cruel, protect yourself and your General with this expertly crafted steel tube bumper custom designed for the all-new General. The burly 1 Â¾-inch, 14-gauge steel-tube design can withstand the harsh conditions found on the trail or the work site and the black powder-coat, corrosion resistant finish delivers years of non-stop protection and good looks. The fully-integrated design features light bar mounts and will not interfere with the winch fairlead. Extend the protection of the Low Profile Sport Front Bumper additional hood and headlight assemblies protection, add the Sport Front Upper Bumper (sold separately 2881525). Includes the bumper and all installation hardware.